I apoligize once again for my extended absense, but recently i have just been much busier than i'd like. Well, the time for repotting some of my bonsai is getting closer, and i just wanted to run a few things by everyone. 1). I need to re-pot three species. First is a pine. I believe i have to wait until the candles are extended, but not yet open (is this correct?) to re-pot. 2). Second is a boxwood. How can i tell when to re-pot it? 3). Next is a juniper. The last juniper i re-potted i did in the fall, (and i remember ynot saying i got lucky that it lived), so i want to re-pot a different one this spring, but once again, how can i tell when it's time? Thanks for everyones help, and it's good to be back, hope all is well! P.S. I acquired a new ficus some months ago, i'll try to post pics soon. I don't know about the pine, but here, I can run over a boxwood with a car, stick it back in the ground, and it will grow!! Seriously, are any of the leaves redish/brownish? Have any new leaves emerged? Welcome back. I think you have some time before any of these are overdue. The Bonsai4me species guide lists all three of the species in question. I re-potted my one and only Juniper last year but I don't recall exactly when, I know it was later than this though. It will not be re-potted this year. 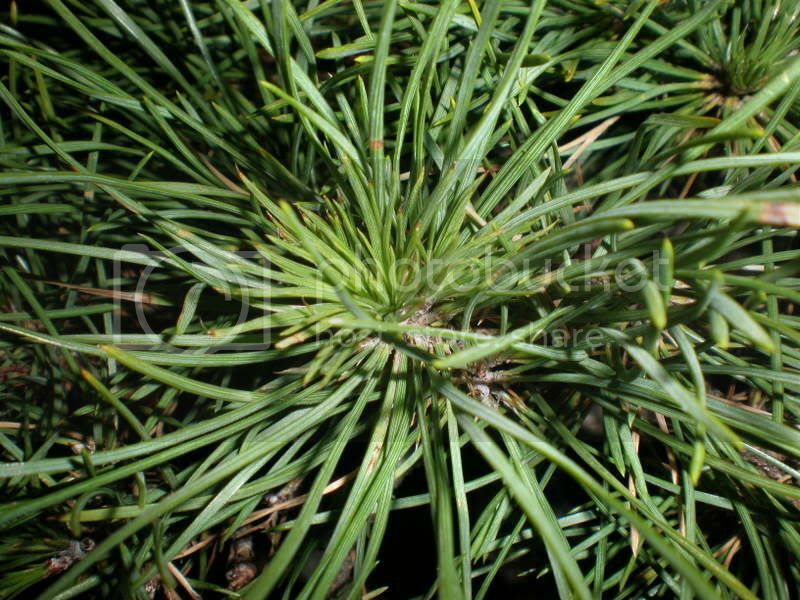 Same with my Pine seedlings, re-potted later in the year. They too will remain in their current pots this season. I just re-potted two collected Boxwoods, according to H.H. I was over-anxious but I usually get itchy to get started around this time of year and it was 60F here today. I'll have to make sure to protect them from low temperatures from here on out though. OK, I just checked my journal and I noted that I initially dug and potted one of the collected Buxus on March 28 2006. It required some heavy carving (like with a chainsaw) and it did fine. That's all I have, I have to do a better job of note-taking. It was strange, because my boxwood's leaves didn't turn too red this year (not as much as last year). I'm not sure why, but mayeb it was because we had a late winter (i live on LI in NY, btw). Now, hardly any leaves are reddish/brown, but it hasn't had any new buds (i did scratch the bark though, and it's still alive, thankfully). So maybe wait until it gets in the steady 50's for a week or so before re-potting the juniper? (this week we're flirting with the low 50's). As for the boxwood, i repotted my stock this time last year (actually i think that was in april), and it seemed to be ok. I mean, it did die, but i think that was due to other causes (i.e. not pruing properly initially, and then slowly killing the tree :< ), and not because of the time of year i re-potted it. I wouldn't repot based on the temperature - Wait for the plant to show you when it's time. moulman wrote: I wouldn't repot based on the temperature - Wait for the plant to show you when it's time. As for the juniper, can you clarify "new growth" a little? do you mean like buds, (similar to pien candles) that are not yet open? No it won't look like candles on Pines, new growth on a Juniper won't be as obvious as that or that of a deciduous tree so it is not so easy to describe. You will just have to observe your tree and make your decision when the time is right. If you have your pot and soil ready it should not be too much of a problem. 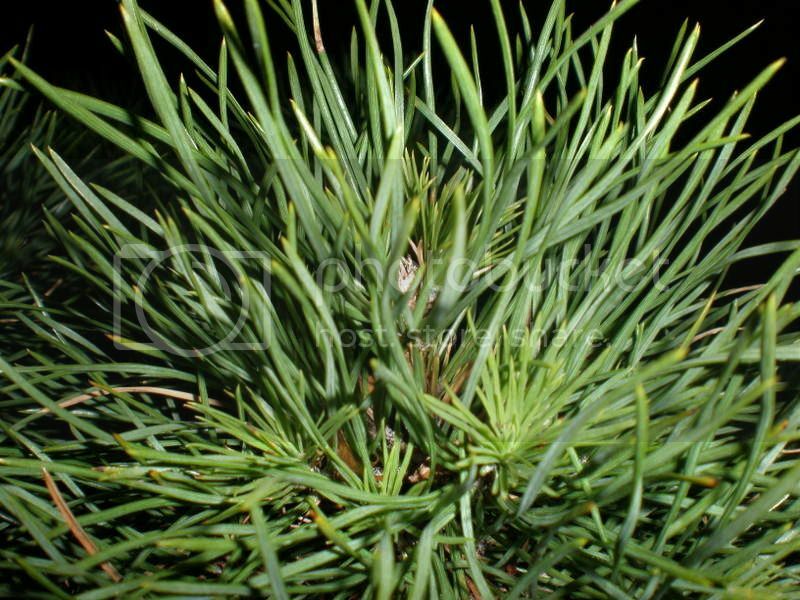 just want to run this by you guys, buy these are some pics of my pine, and it's new candles. I feel like i have missed the opportunity to repot, but just want to get some thoughts. Sorry the last one's a little blurry. Re: Been Busy...but getting close to the time of repotting..
JoeLewko wrote: 3). Next is a juniper. The last juniper I re-potted I did in the fall, (and I remember ynot saying I got lucky that it lived), so I want to re-pot a different one this spring, but once again, how can I tell when it's time?. You don't say what species this is and if you have in the past I don't recall. At any rate I'm not convinced you have missed your shot this year, but in all honesty I am just getting my feet wet as far as Pines are concerned. As in your other thread, are you sure it needs to be re-potted or do you just want to? If you feel it really needs it I think I would go ahead and do it, otherwise play it safe. It's a red pine, and it's pretty rootbound. I am actually able to life the tree clean out of the pot, and end up with this. I'm just a bit nervous to re-pot it, i don't want to kill it, it's pretty old (62 i believe the last owner said...well 63 this year). JoeLewko wrote: It's a red pine, and it's pretty rootbound. I am actually able to life the tree clean out of the pot, and end up with this. 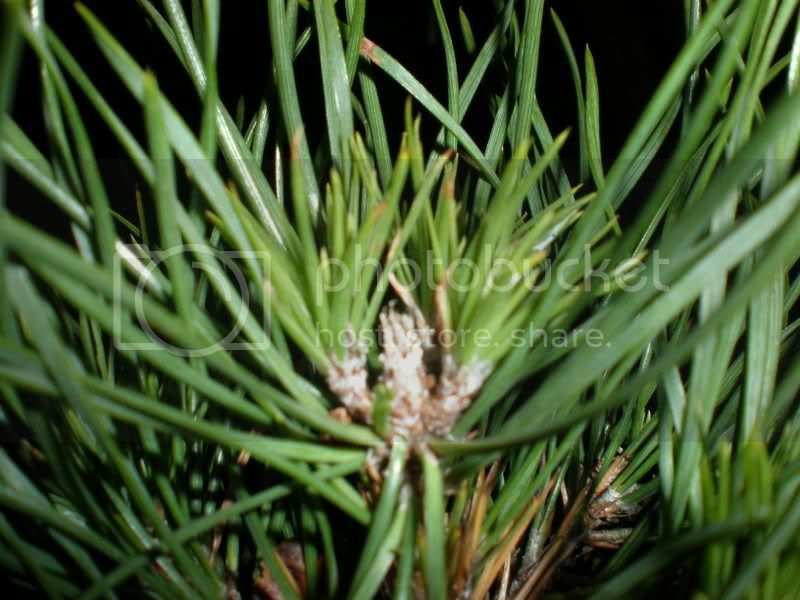 Your red pine should be treated just like a black pine when it comes to repotting. Your roots look very healthy with a lot of mycorrhizae, the white fungus you see. I would not wait until the candles open to repot. It's not as strong as black pine so be a little more tender with it. You say it's 63 years old? Can you post a picture of the whole tree? I'd like to get a sense of it and its condition (although the needles look very healthy). Thanks for stopping by and considering Joe's question. Here is a link to a previous thread concerning the same tree (I believe). For those of you who do not know of Chris his website Sashi-eda Bonsai may be of interest. the link you posted is indeed for the same tree. I know you didn't ask for styling advice but i cant help it. In the first pic of the whole tree, I would jin the first right hand branch because imo it is too long straight and boring. I would then style the top of the tree into a bunjin style. I cant really see the potential of the branching though.